Prodigi Connect 12 Second Generation Has Arrived! 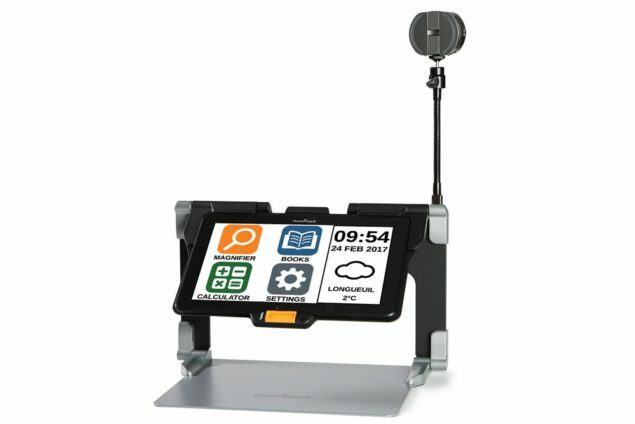 We are thrilled to re-introduce Prodigi Connect 12 Second Generation, one of the most powerful and portable OCR digital magnifiers on the market for people with vision loss. The arrival of the second generation of Connect 12, brings with it the highly portable digital magnifier and a 12-inch tablet with an open Android platform – with desktop and distance viewing. The new features are superior with its ease of use and integration for access to documents, apps, books, newspapers or magazines all from the online library and significant enhancements. 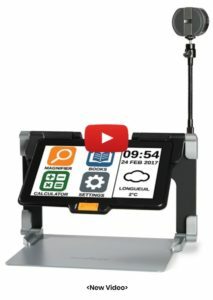 With the second generation of Connect 12, it’s even smarter and more connected than all other low vision products and is the next evolution of the most advanced digital magnifier in the product line. 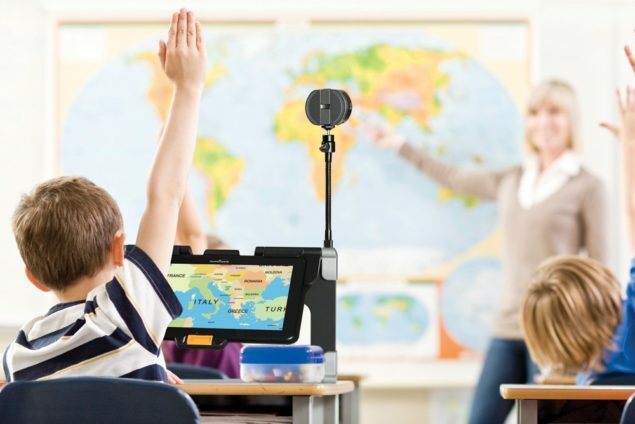 The combined portability, precise customization to all visual conditions, wireless distance viewing – all offered by a 12-inch Android tablet – make Connect 12 second generation the preferred digital magnifier for students. The enhanced simple to use interface allows students with vision loss to find all the information in one place. From the main screen, it’s easier than ever to select the right magnification for reviewing printed documents and reading a book or magazine. The new calculator app is built in to the interface and allows the user to change the settings naturally. With basic gestures – read, magnify, adjust contract and more! With the new software update, Connect 12 second generation the new integrated Books app provides access to one of the largest online book libraries through Bookshare to access thousands of books, magazines and newsletters easily on your portable wireless tablet. As in the previous Connect 12, this second generation provides perfect Diamond-Edge text with multiple capture and exceptional processing speeds, allowing magnification up to 80x with perfect clarity and the highest resolution. 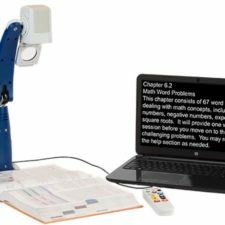 With this second generation, low vision users can choose from three efficient reading modes – page, column or line. 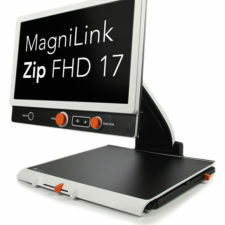 The Connect 12 also offers optional speech output on documents and menus with the specific purpose of reducing eye fatigue. The large portable 12-inch full HD touchscreen provides a long-lasting 8-hour battery. 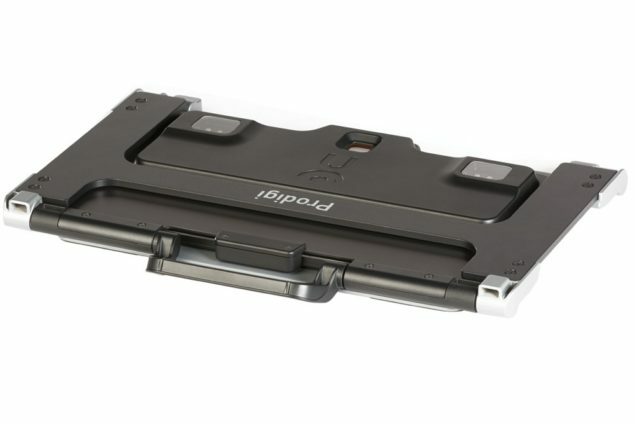 The wireless distance viewing camera with up to 40x live magnification and a capture function fully integrated into the software which helps the low vision user view everything like never before. 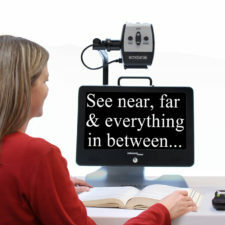 The additional connectivity, interactivity and portability make the Connect 12 one of the most powerful and user friendly tools available for low vision students or anyone with vision loss. The Android access allows the user to easily connect to the internet with the selection of a single app. This is ideal for students with vision loss who can now enjoy free and open access to pre-installed apps such as: Google Docs, Drive, Gmail, Google+, Hangouts, and Google Chrome. 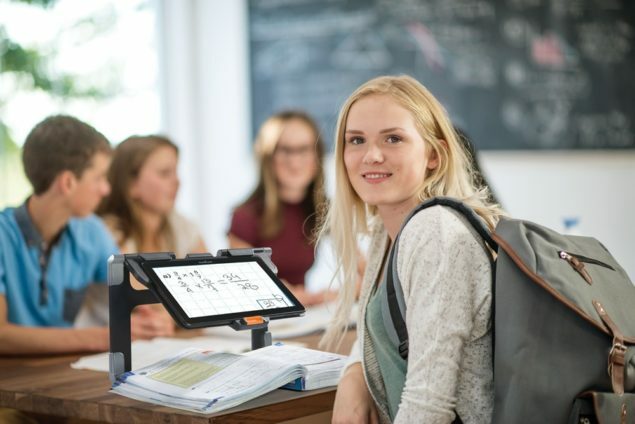 Enjoy smartboard connectivity with Promethean, TeamViewer or VNC along with adaptive apps such as: BookShare, BARD, and Pyxima, makes this more than just a portable digital magnifier. Prodigi Version 2.2.0 Now Available! After capturing and saving a form, assignment or any document you want to write on. Zoom in to where you want to write and start writing or highlighting with your finger. Once you’re done, share your document by email, drop box or printer using the Prodigi Connect application. New white on black HumanWare Bluetooth keyboard designed for the visually impaired user. Connect to the keyboard using the new Bluetooth setup menu found in Prodigi’s settings. Several shortcuts available. For example: launch magnifier application, capture a document, start reading, zoom in & out, launch Prodigi settings, go back to Prodigi’s main menu and more. Point and read: long press a word in a captured document and start reading on that word. Letter, number and special characters typed in a Prodigi text box will be read out loud. New show password button placed on the right of a password text file in Prodigi. New ISBN search in Books application. Use a four-finger or a five-finger press & hold to exit to Android from Prodigi. Prodigi Version 3.0.0 Now Available! The First Paperless CCTV! 5. New Run OCR Option: Run the OCR on an image that does not have OCR results. 6. Arabic Support: Prodigi Connect12 or MATT Connect more popular than ever! We now offer Prodigi connect or MATT Connect in Arabic! For more details, please refer to the What’s New document. <Found here>. Our state-of-the-art technology showrooms are a wonderful low vision resource, showcasing a variety of leading electronic low vision magnifiers. You can schedule an appointment with a low vision specialist, who can help you find the right low vision solution and other types of low vision rehabilitation services. If you cannot come to us, our staff can even drive out and bring our Low Vision Store to you, for a no-obligation Low Vision Product demonstration. We offer a comprehensive line of low vision products including electronic magnification low vision aids, and leading low vision products for people with Macular Degeneration, braille embossers, screen readers, and other forms of vision loss. Contact the Low Vision Specialists at New England Low Vision and Blindness to learn more. Call 888-211-6933 or email info@nelowvision.com.